Alameda Estuary Submersible Pumps - Global Diving & Salvage, Inc. 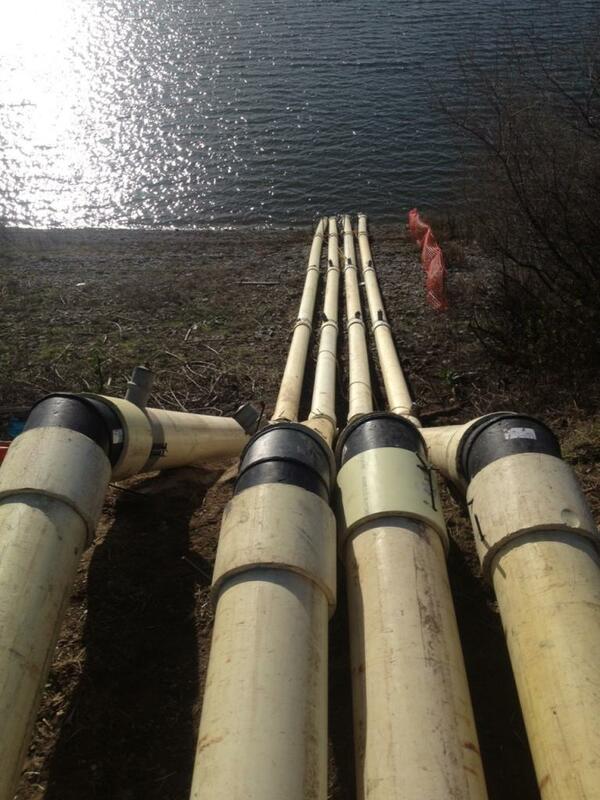 Global Diving & Salvage, Inc. was contracted by the Alameda County Water District to install and maintain emergency pumps after a culvert collapsed in the Quarry Lakes in Freemont, CA. The lakes were originally gravel quarries whose yield was used during the building of western portion of the Intercontinental Railroad. 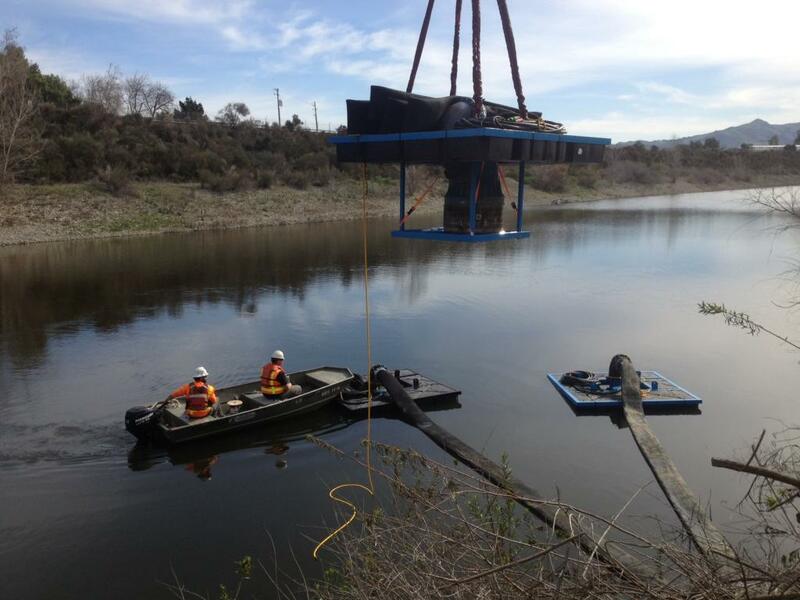 After quarrying activities came to an end, the lakes began to be used for groundwater recharge by the Alameda County Water District, which diverts water using an inflatable weir from Alameda Creek into the pits. As the drought worsens in California, the need for this water becomes ever more critical. 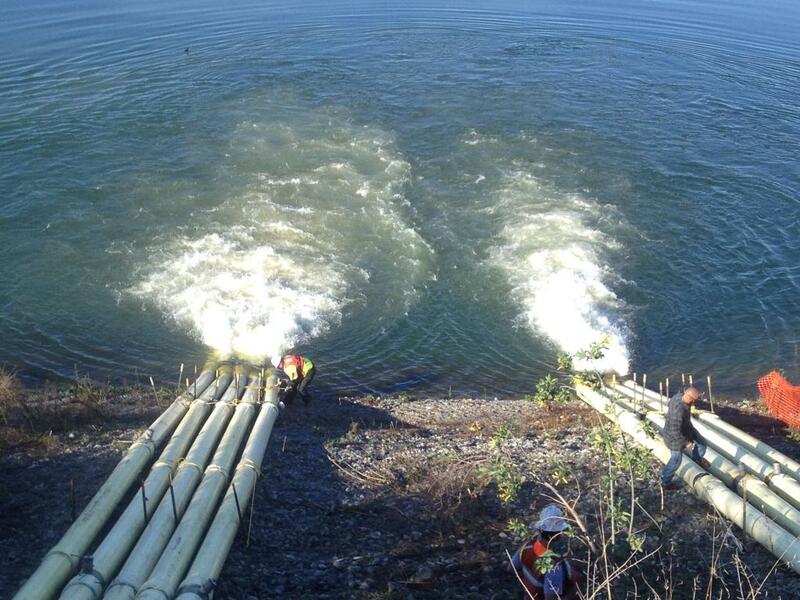 Ten-inch submersible pumps were connected to 12-inch piping which is routed over the levy wall and into the second lake that feeds the remaining lakes through their individual culverts. In total, nine submersible pumps were craned into position and over 2,520 feet of the piping was installed in just five days.